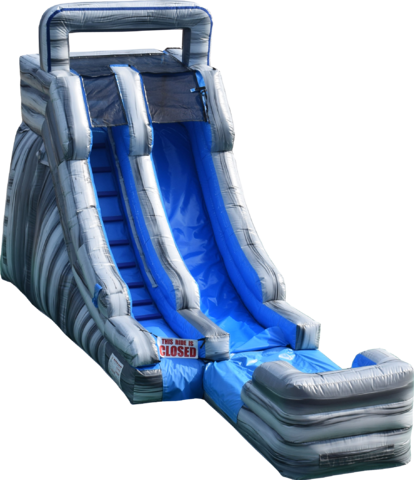 Bring the excitement of wild, untamed rapids to your next party or event with the 15’ Stone Waterslide! 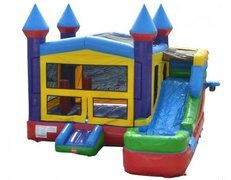 This stunning party inflatable proudly displays a color scheme of blue and several shades of gray, mimicking the look of a rugged mountainside with water gushing down! 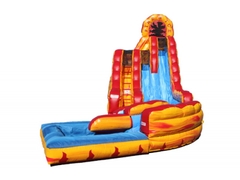 Like our other inflatable slides, the 15’ Stone Waterslide has an inflatable pool at the bottom of the unit as well as all other safety features like protective mesh windows at the top of the unit. 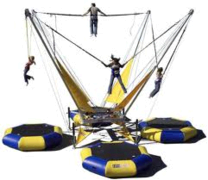 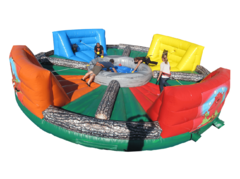 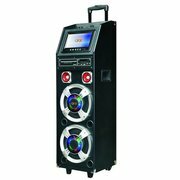 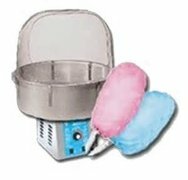 At Jump Around Party Rentals, we take care of all the hard work on your behalf! 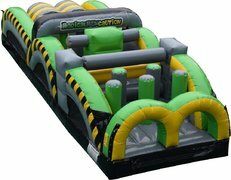 For Saturday parties, be sure to specify if an earlier Friday delivery works as well, as we can often drop your rental off a day in advance at no extra charge (when available)!